This year's £1m QE Engineering Prize has been won by four individuals who played key roles in developing GPS. "It is an awesome honour. There is no prize for engineering greater than this," he told BBC News. "The nice part is that it's a recognition for technology that is good for humanity around the world. And it's humbling because, candidly, the four of us represent another score of engineers, and more, who made critical contributions. Nobody does everything." And while most people will be familiar with the technology from their smartphone or car sat-nav device - the signals are used in myriad and ever-expanding ways, helping to synchronise cellular and data networks; to time-stamp financial transactions; and to co-ordinate supply chains, whether they involve trucks, planes, ships or trains. 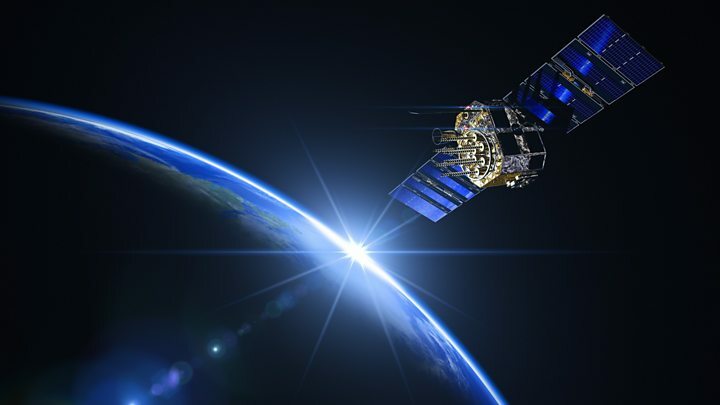 Indeed, it is hard to think of an activity in modern society that doesn't lean in some way on GPS and its sister services now coming online, such as Europe's Galileo network. And this reliance will only go deeper as we enter two new eras - that of the so-called "Internet of Things", where all manner of objects are connected through the internet; and that of Big Data, where huge volumes of information points are analysed by powerful computers to reveal entirely new behavioural patterns and trends. Bradford Parkinson is sometimes referred to as the "father of GPS". The retired United States Air Force Colonel led the development of the system we know today. Dr Parkinson recruited James Spilker Jr, who designed the signal that's transmitted by the satellites. The GPS spacecraft operate in a Medium-Earth Orbit (MEO) at an altitude of 20,000km, where energetic particles can trip electronic circuits unless they're properly protected. Prof Sir Christopher Snowden, chair of the QE Prize Judging Panel, said: "GPS is something which pulls together so many different technologies, and it was an incredibly complicated challenge to develop it. "It even has the Theory of Relativity applied into it. If you're looking for something that spans nearly every aspect of engineering and science - you've got it with GPS." Lord Browne of Madingley, who chairs the foundation that runs the prize, added: "Engineering is the foundation of civilisation; there is no other foundation; it makes things happen. And that's exactly what today's Laureates have done - they've made things happen. They've re-written, in a major way, the infrastructure of our world." Known as Block III, this iteration of satellite has three times better accuracy and is said to be significantly more resistant to jamming and "spoofing" (making a receiver think it is somewhere it is not). The Block III also incorporates an addition to its signal structure that will improve interoperability with the likes of Galileo. "Like all good things, GPS is something on which we can become to dependent," he told BBC News. "We have a concept - PTA, which stands for Protect, Toughen and Augment. Protect the frequencies and the signal. Toughen the receivers, and Augment the systems - put in place other systems which may not be as accurate or as robust but which provide a back-up, and give a user in trouble a backdoor to get out of trouble."